Kindle’s Free History Book Deals for Monday! Malleus Maleficarum by Jacob Sprenger. Price: Free. Genre: Christian, Church History, Churches & Church Leadership. Rated: 4.1 stars on 27 Reviews. 356 pages. ASIN: B018W9DY3U. Heretics by G. K. Chesterton. Price: Free. Genre: Christian, Church History, Protestantism. Rated: 4.3 stars on 51 Reviews. 176 pages. ASIN: B019WU1RIC. Posted on February 29, 2016 Author KibetCategories Free Kindle History BooksLeave a comment on Kindle’s Free History Book Deals for Monday! 9 superb Kindle Free History Books for Sunday! 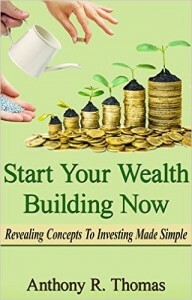 *Start Your Wealth Building Now – Revealing Concepts to Investing Made Simple (Deal, Not Free) by Anthony R. Thomas. Price: $0.99. Genre: Wealth Management, Sponsor, Nonfiction, Budgeting, Business & Money, Budgeting & Money Management. Rated: 4.7 stars on 11 Reviews. 30 pages. ASIN: B019MRC52C. Reviewers like it: Everything comes with good habits. You can never go wrong in investing on yourself! This is a very useful and practical guide for growing your wealth! Highly recommended, especially if you have not started to build wealth, or do not know where to begin! **History: The Ancient Civilizations That Defined World History (Egypt, Roman, SPQR, Aztec, Ancient China, Ancient Greece, Julius Caesar, Jesus, Human History Book 1) by Roman Collins. Price: Free. Genre: Aztec, China, Egypt, History. Rated: 4.5 stars on 64 Reviews. 39 pages. ASIN: B01AYRJRCK. *The non-ultimate guide to The Law of Attraction: What is Told and how it is Sold (The non-ultimates Guides) by Anna del Horto. Price: Free. Genre: Religion & Spirituality, Personal Transformation, Nonfiction, New Thought, Personal Growth. Rated: 5 stars on 6 Reviews. 69 pages. ASIN: B015Y020V2. *MIXTAPE 101: EVERYTHING YOU NEED TO KNOW TO CREATE, MARKET, AND DISTRIBUTE YOUR MIXTAPE by Brian Peters. Price: Free. Genre: Music, Nonfiction. Rated: 5 stars on 6 Reviews. ASIN: B01BTN6L4U. *How to File an Appeal A Pro se Guide to Foreclosure Defense by Lorayne Souders-Neely. Price: Free. Genre: Law, Nonfiction. Rated: 5 stars on 5 Reviews. 89 pages. ASIN: B017ZDZLQM. *Castles in Scotland Volume II: A Travellers’ Guide by Gary McKraken. Price: Free. Genre: Scotland, General, History, Travel, England, Great Britain. Rated: 5 stars on 5 Reviews. 70 pages. ASIN: B00TM3XPMQ. *NAVY SEAL: Self Discipline: How to Become the Toughest Warrior: Self Confidence, Self Awareness, Self Control, Mental Toughness (Special Forces, US NAVY … BUDS, Heroism, making of a SEAL Book 1) by Jason Lopez. Price: Free. Genre: Biological & Chemical, Intelligence & Espionage, History, Special Forces. Rated: 4.3 stars on 70 Reviews. 47 pages. ASIN: B01AYQJFVY. The History of China in 50 Events: (Opium Wars – Marco Polo – Sun Tzu – Confucius – Forbidden City – Terracotta Army – Boxer Rebellion) (History by Country Timeline Book 2) by Henry Freeman. Price: Free. Genre: Prehistory, China, Civilization & Culture, History. Rated: 4.4 stars on 5 Reviews. 40 pages. ASIN: B01BMVK0DC. American History in 50 Events: (Battle of Yorktown, Spanish American War, Roaring Twenties, Railroad History, George Washington, Gilded Age) (History by Country Timeline Book 1) by Henry Freeman. Price: Free. Genre: United States, History. Rated: 4 stars on 6 Reviews. 41 pages. ASIN: B019Z2SU1E. Posted on February 28, 2016 February 28, 2016 Author KibetCategories Free Kindle History BooksTags history, NonFictionLeave a comment on 9 superb Kindle Free History Books for Sunday! Kindle’s Free History Book Deals for Saturday! *Son of Sam Was My Catcher and Other Bronx Tales by Ian Lowell. Price: Free. Genre: History & Criticism, United States, 20th Century. Rated: 5 stars on 11 Reviews. 528 pages. ASIN: B00UXX3GZK. Posted on February 27, 2016 Author KibetCategories Free Kindle History BooksLeave a comment on Kindle’s Free History Book Deals for Saturday!